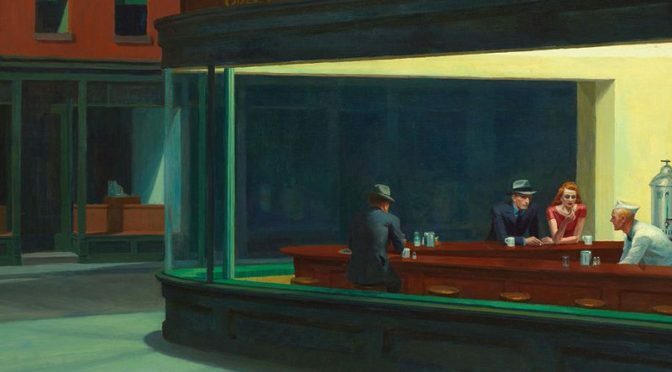 Interesting article on BBC Culture this morning about the depiction of urban loneliness in the paintings of Edward Hopper based on excerpts from The Lonely City, a new book by Olivia Laing. Edward Hopper (July 22, 1882 – May 15, 1967) was a prominent American realist painter and printmaker (Source: Wikipedia). 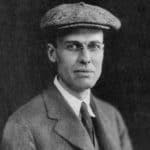 Born in 1882, Edward Hopper trained as an illustrator and devoted much of his early career to advertising and etchings. Influenced by the Ashcan School and taking up residence in New York City, Hopper began to paint the commonplaces of urban life with still, anonymous figures, and compositions that evoke a sense of loneliness. His famous works include House by the Railroad (1925), Automat (1927) and the iconic Nighthawks (1942). Hopper died in 1967 (Source: Biography.com). 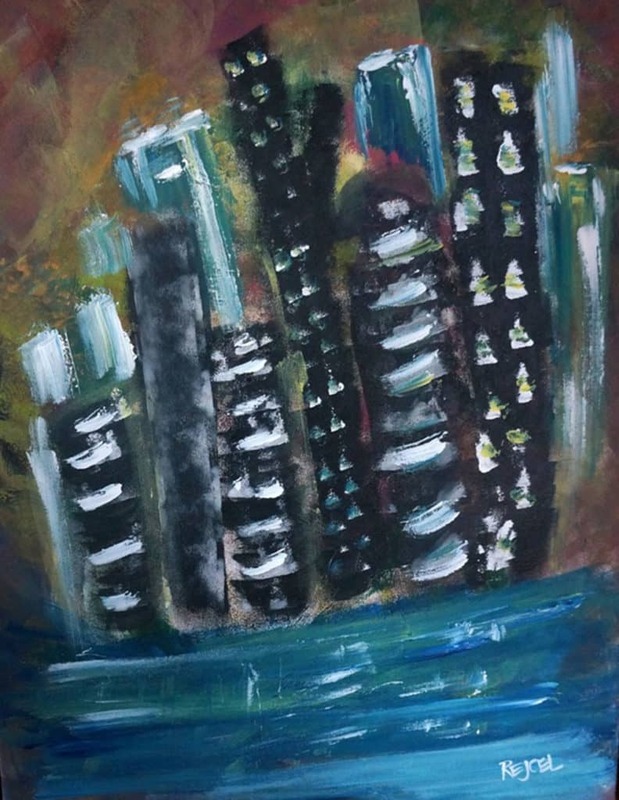 Rejcel Harbert’s The Blue City (2012), 22″ x 28″, acrylic on stretched canvas, private collection. The city is always in motion. 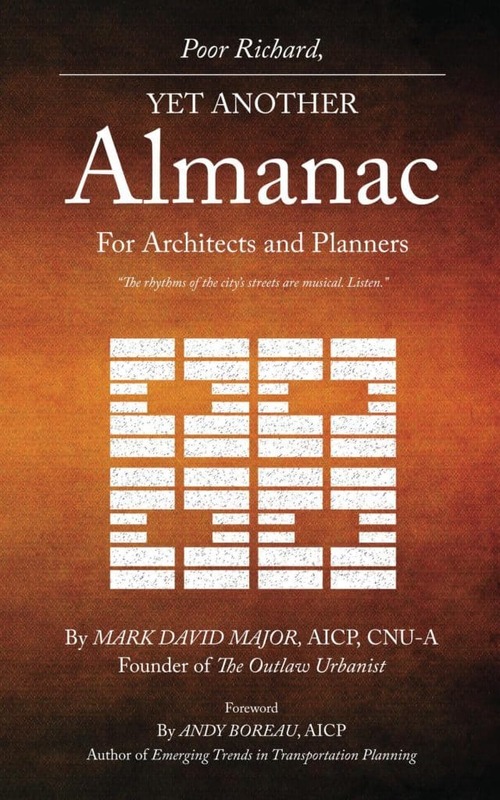 Generally, this statement is understood by professionals to refer to movement through urban space at street level (pedestrians, automobiles, and so forth) and/or the outward physical growth of the city in plan. 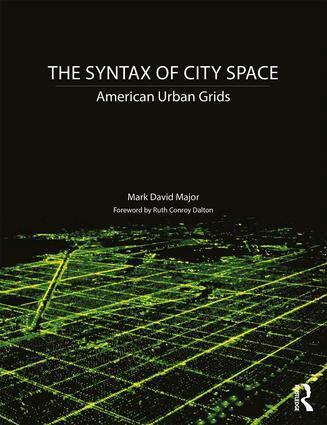 However, the city is also – and always – in motion at its vertical dimension. It is not merely the movement of people and things vertically across interior elevations (such as elevators) but the buildings themselves move and, metaphorically speaking, grow. A structural engineer understands the need to account for wind shear in building structures, especially the taller the building. Anyone who has worked in and/or visited a skyscraper will have probably experienced the phenomenon of wind shear motion in that building, if only on a barely perceptible level. However, in a metaphorical sense, the buildings of the city are also ‘growing’ as new and higher buildings are erected over time. Harbert paints the buildings much like trees bending against a strong wind, providing a counter-motion horizontally, but also sprouting ever-upwards in a counter-motion against gravity associated with the plane of the ground. In The Blue City (2012), the ground plane is not represented by the solidity of terra firma but the fluidity of a nurturing water, which anchors the buildings much like water feeding the roots of trees. This gives the abstraction a dynamic and organic quality not normally associated with the vertical dimension of the city. There is an eternal attribute about the city that Harbert captures in depicting a waterfront city at dusk. The onset of dusk is indicated both by the colors of the painting’s background and the use of white in representing the internal lights of the buildings, much in the same way as Georgia O’Keefe’s Radiator Building-Night, New York (1927). In The Blue City, the lights of the city buildings are abstractly reflected in the water at the base of the painting. There is a vibrancy of color contrasted between the upper (reds, browns, and greens) and lower portions (blues, whites, and greens) of the painting. The Blue City reminds us in an abstracted form that the city is always in motion in every dimension (length, width, breadth – the horizontal and vertical – and time itself). 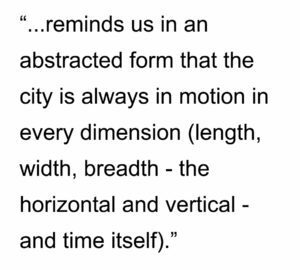 In this sense, Harbert captures something about the eternal dynamic of motion in the city. 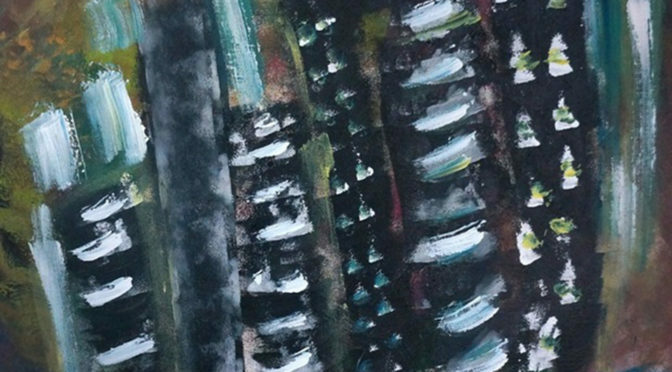 When it comes to the existential being of the city, we may not see it from afar – for example, as we gaze at the skyline of a city – but motion is an essential fact of the thing itself. BIAS ALERT: I own this painting. I love it so much that I bought it for my private collection. Rejcel usually writes a short description of her paintings on www.rejcel.com but she has not done so for The Blue City. However, when I purchased the painting in 2012, I do recall her telling me the image for The Blue City came to her after a dream. Rejcel Harbert has over eight years of experience as the owner of Art by Rejcel, where she sells photographic services, paintings, and abstract and expressionistic acrylic arts. She received her bachelor of arts in business, economics, and Spanish from Jacksonville University in 2001. She is a member of the Business Fraternity Alpha Kappa Psi, the Honor Society Phi Kappa Phi, and received an award from the Women’s Business Organization for Achievement. Ms. Harbert does religious volunteer work including construction and repair work for community members in need. For more information on Art by Rejcel, visit www.rejcel.com. Paul Klee’s Highways and Byways (1929), 67 x 83 cm or 26.4” x 32.7”, oil on canvas, Christoph and Andr Collection displayed in Museum Ludwig, Cologne, Germany. According to the one interpretation of Paul Klee’s Highways and Byways, plots of lands are used as ‘building blocks’ to offer an aerial view of the landscape in order to create the illusion of perspective and relief. 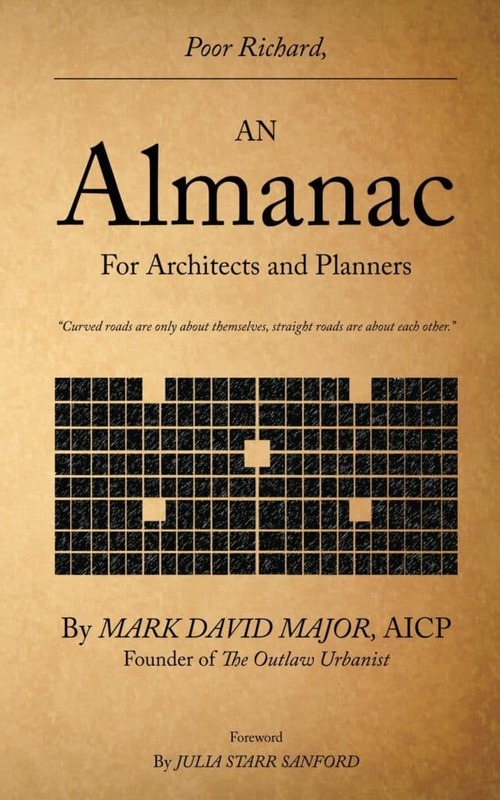 “Complexity emerges geometrically by successive doublings from a central ‘highway’ to create ‘byways’ (i.e. small, more dense or compact plots of land), only to be lost again by inversely halving their number.” The largest plots forming the central ‘highway’ approach a water body (probably the River Nile since this period of Klee’s paintings came after a trip to Egypt). 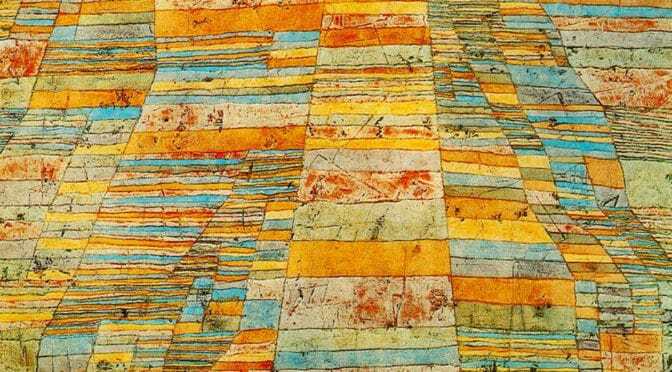 However, the title of Klee’s painting indicates a different interpretation than agricultural plots for the colored strata (Source: The Peacock’s Tail: Essays on Mathematics and Culture). It does seem to hint at more than an abstract painting of an agricultural landscape. Perhaps skewed by an American perspective towards the land, it might suggest terre potentiel (the potential of the land). 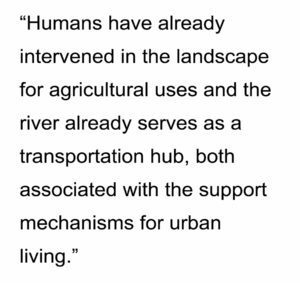 Humans have already intervened in the landscape for agricultural uses and the river already serves as a transportation hub, both associated with the support mechanisms for urban living. 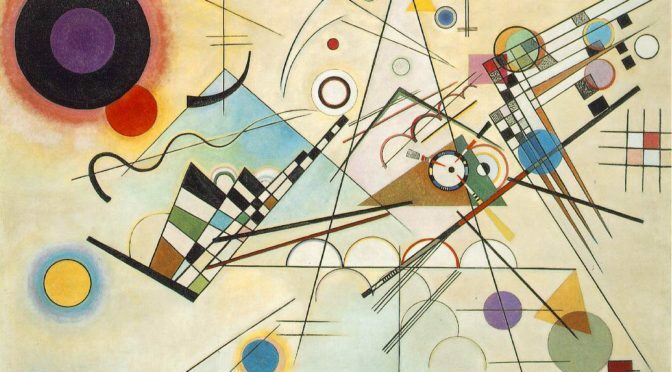 “In this pattern of fields, all is order, timeless structure, with a poetic element added… in twentieth-century creative language” (Source: PaulKlee.net). 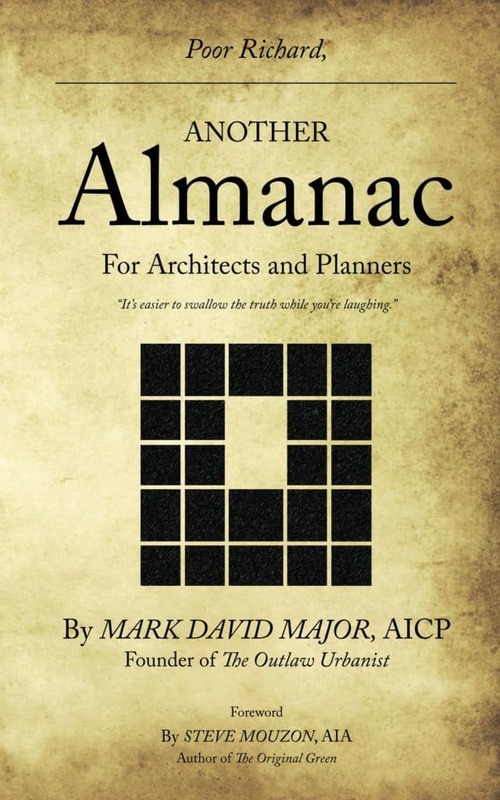 It is in this ‘timeless structure of order’ that can be found the design traces of a future urban pattern, a future city that has yet to emerge from the land but the potential for its emergence is already etched in the landscape. I love this painting, not so much for what it represents in the ‘here and now’ (though it is beautiful only on these terms) but what it represents about the possible, the “undiscovered country,” …the future, where all travelers must venture but none may journey before it is time. 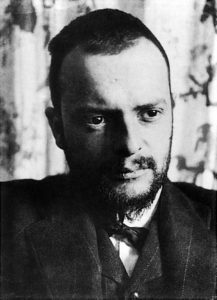 Paul Klee (1879–1940) was born near Bern, Switzerland. He studied drawing and painting in Munich for three years beginning in 1898. 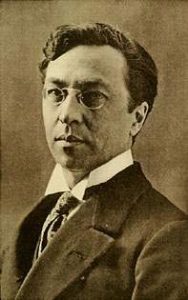 By 1911, he was involved with the German Expressionist group Der Blaue Reiter (The Blue Rider), founded by Wassily Kandinsky and Franz Marc. In 1914, Klee visited Tunisia. The experience was the turning point. The limpid light of North Africa awakened his sense of color. Klee gradually detached color from physical description and used it independently, giving him the final push toward abstraction. In 1920, Walter Gropius invited Klee to join the faculty of the Bauhaus. Nearly half of Klee’s work was produced during the ten years he taught at the Bauhaus. From 1931-1933, Klee taught at the Academy of Fine Arts in Düsseldorf. 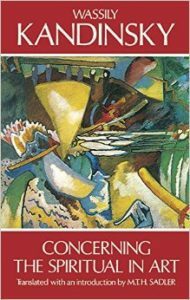 When the National Socialists declared his art “degenerate”, he returned to his native Bern. Klee suffered from a wasting disease, scleroderma, towards the end of his life, enduring the pain until his death in Muralto, Locarno, Switzerland, on June 29, 1940 (Source: Metropolitan Museum of Art/Wikipedia). Visit the Artsy.net Paul Klee page here. 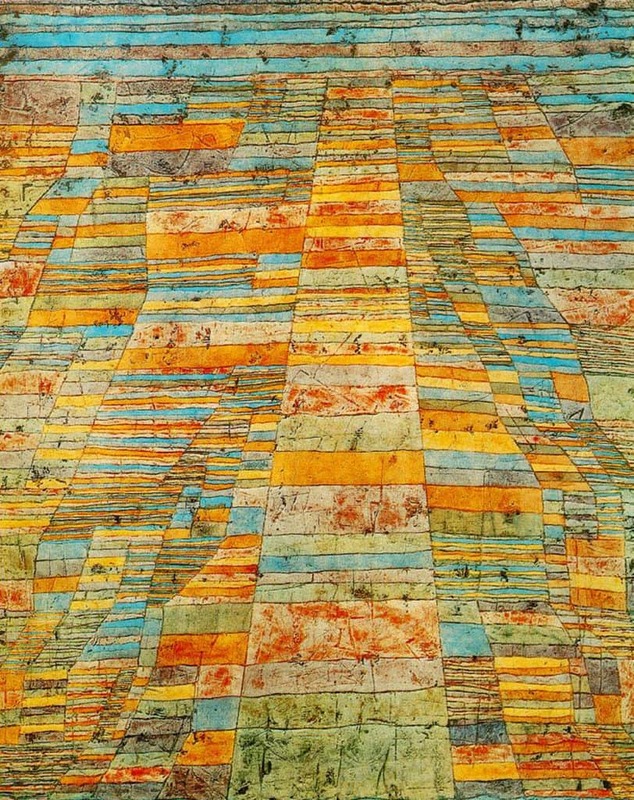 Read a later article about another Paul Klee painting featured in The City in Art series here.